For all your window cleaning needs in Stockport and Greater Manchester. Established 2008, we are a family run business that has shown stable growth for several years and now have a fleet of vans with dedicated teams, no job too small or large, just ask. 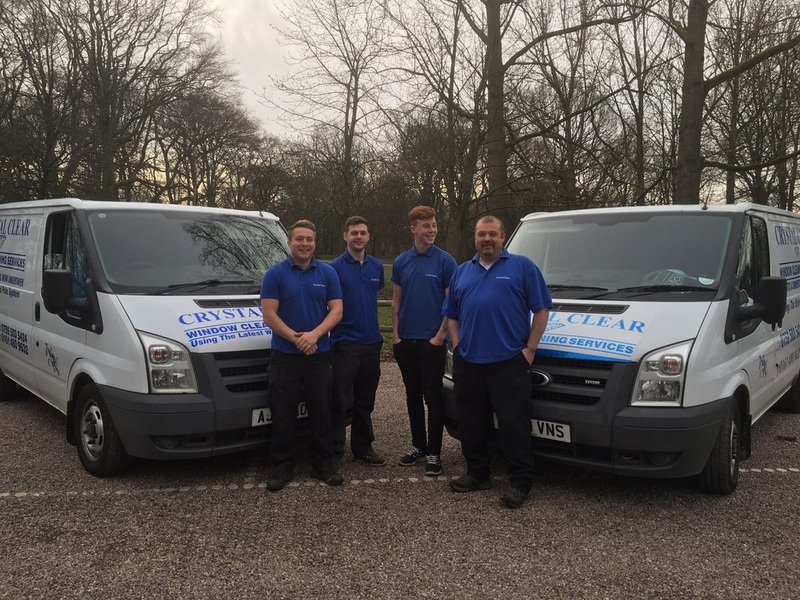 Quality and value service is our key, providing Window Cleaning to Domestic and Commercial properties using the Pole Reach System that uses purified water for supreme finish that's crystal clear. You can be assured that we can get to those hard to reach areas, such as over extensions or conservatory roofs, where ladder work methods would not be safe, as we use the superior quality carbon poles that can reach up to 50 Feet. Based in Offerton and covering in and around the Stockport, South Manchester and Greater Manchester areas. We offer a cleaning schedule that is right for you. Every visit we clean all your windows, frames, sills and doors as standard. We can contact you the night prior to arrival so you know its us. Carry full public liability insurance for peace of mind. Providing a safe service, no ladders to ruin your ground or damage to your property. Up to 50 ft reach providing service to both commercial and domestic properties. 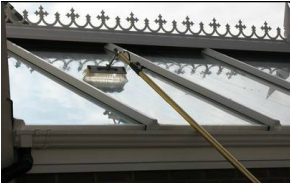 Do you have hard to reach windows or conservatory roofs? Our carbon poles have a reach up to 50 Feet. Environmentally friendly, pure water used so no detergents required which ensures a streak free finish due to our multi filtration & de-ironising process.